He is one of the most successful Romanian artists whose singles can be called “hits” at the time of their release. 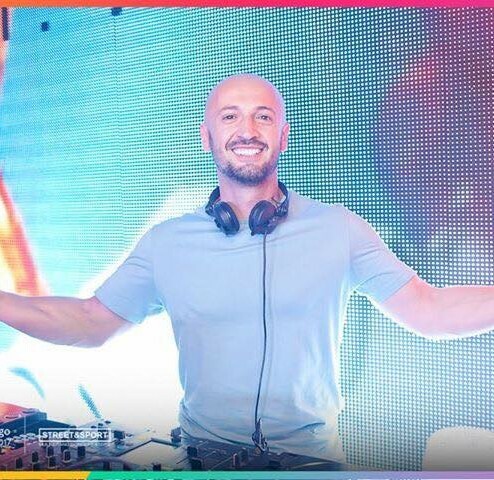 He made his debut as a DJ, at the age of 15; shortly after Serge Istrati becomes the resident of the “City” club, the most popular club in Chisinau. In 2005, together with DJ Nash, he lays the foundation for “Studio One” – a truly innovative project with a new sound, which was very well received by the audience. In time Serge has worked with DJ Tom Boxer for “Lose control”, Fly Project for “Wonder Girl”, Vali Barbulescu for “Send your Love” and with Edward Maya for “Out of love”. In 2010, Serge lays the foundation for a new project – “Sasha Lopez” – and releases “Madam”, the song whose success quickly goes beyond the Romanian borders. In 2010 as well, Sasha Lopez releases the mega-the hit “All My People”. Receiving the license throughout the world, Sasha Lopez’s song occupied the first position in the music charts in Spain, Canada, Bulgaria, and South America and came in the first 10 hits in the music charts in Germany, Austria, Switzerland or Israel. The following two singles signed by Sasha Lopez & Ale Blake feat Broono – “Weekend” and “Everybody Feels Alright” – follow the same successful trajectory going beyond the Romanian borders.